Seven of our Volunteer Gardeners (VG’s) and members of our team are accredited guides. We are delighted to offer guided tours, preferably pre-booked. Whenever possible, we will be pleased to open the garden by special arrangement outside of our usual hours. A minimum of seven working days’ notice is required/preferred. Opening times at the weekend will be extended when at all possible. 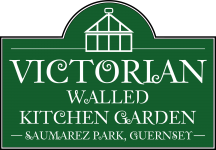 Please contact Cathy Morgan on 07911 732 912 or email info@walledgarden.gg for more information.